Be DNA Certain™ that lab specimens are free from contamination and exclusively belong to the patient being evaluated. Specimen Provenance Complications (SPCs) can occur outside a controlled laboratory environment even when automation technologies are employed through the Analytic Phase of testing and meticulous operating procedures are followed. Strand Diagnostics has established the highest standard for specimen provenance testing with DNA Specimen Provenance Assay (DSPA), DNA testing. The DSPA test complements the laboratory workflow while protecting the pathology lab across the entire diagnostic testing cycle. 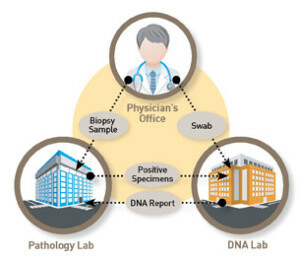 DSPA compares a DNA profile of a patient’s reference swab to the DNA profile of the biopsy tissue(s) used in the pathology evaluation process to confirm a DNA match. A DNA match removes the doubt of specimen contamination and patient transposition errors confirming the specimen purity (i.e. free from admixture) which can otherwise confound test results. 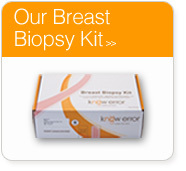 Please call 1-888-9Biopsy (924-6779), option 2. 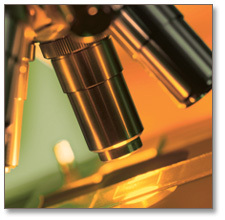 We are your trusted partner for fast, reliable results. Strand Diagnostics’ DNA Specimen Provenance Assay (DSPA) testing can be ordered after the biopsy process to eliminate the doubt of specimen contamination and patient transposition errors before adverse patient outcomes. To solve for these issues a patient DNA reference sample and tissue scrolls from the specimen(s) in questions are sent to Strand Diagnostics for DSPA testing to confirm (a DNA match) the samples are free from contamination (i.e. the sample is pure) and are ascribed to the correct patient. 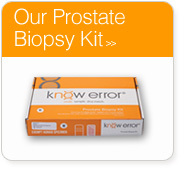 When utilizing the patented know error® system on every biopsy patient as part of routine clinical care, unsuspected errors can be resolved before patient misdiagnosis. Know Error biopsy specimen collection kits (typically used at the clinic or treating physician’s office) encompass unique patient bar coding, forensics principles for specimen handling and Strand Diagnostics’ DSPA testing to detect specimen provenance complications among the cancerous (malignant) tissue(s). Errors exist even when no error is suspected (occult errors).